We conclude our series of year end reviews of 2014 in cinema with our 10 favourite films of the year – let us know if you agree in the comments! To see what we ranked between 20 and 11, and for all of our other year end reviews, you can find them HERE – click on the title links for the individual film reviews. Thanks for reading and we’ll be back with more reviews in 2015! 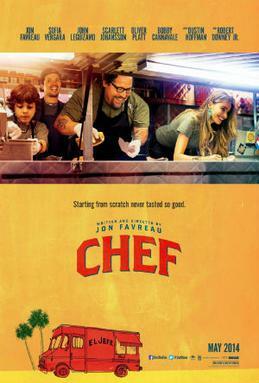 The phrase ‘feel-good comedy’ is undoubtedly overused but there really is no better way to describe Jon Favreau’s love letter to the art of making food, one of the year’s most purely enjoyable films. The film has a great script, a great soundtrack and some terrific looking food, and it’s a welcome return to independent filmmaking for Favreau. 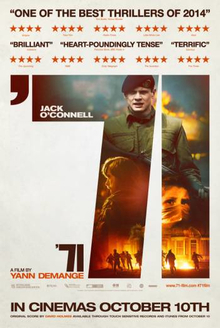 Jack O’Connell’s second excellent performance of the year (the first was ‘Starred Up’) is in this gritty drama from freshman director Yann Demange about a British soldier trapped behind enemy lines at the height of the troubles. One of the most nerve-wracking and intense experiences at the cinema this year, Demange crafts a superb thriller and in Jack O’Connell, he has a star in the making. 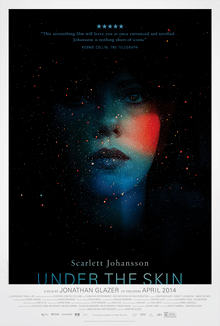 It’s been 10 years since Jonathan Glazer’s last film, and judging by ‘Under The Skin’ it was well worth the wait. An unsettling and eerie film about Scarlett Johansson’s alien travelling the streets of Glasgow and the Scottish highlands aiming to lure men to their death. Haunting, perfectly scored and immensely ambitious, the film divided opinions but for me it’s close to a masterpiece. Spike Jonze has long been one of the most original voices in mainstream cinema and ‘Her’ is another marvellous piece of work, depicting a man falling in love with a computer operating system. This premise could have been dumb or goofy in the wrong hands, but Jonze (and stars Joaquin Phoenix and Scarlett Johansson) have a terrific handle on the material and they’ve managed to craft one of the most moving love stories of the year. One of the nominees for Best Foreign Language film at this year’s Academy Awards, Belgium’s entry is a heartbreaking story about a couple coming to terms with their daughter being diagnosed with a terminal illness. Focusing on two timelines, their relationship at the outset, and their relationship after the diagnosis creates a contrast that adds to the raw and powerful heartache the couple are experiencing. An emotionally devastating movie. The latest movie from Martin Scorsese and Leonardo Di Caprio is the raucous tale of Jordan Belfort, a city trader who made millions from ripping off investors. The film portrays his lavish lifestyle in all its indecent glory and whilst we are disgusted by his actions, we can’t help but watch everything unfold. Hilariously funny and superbly acted, this is a cautionary tale with a sting. 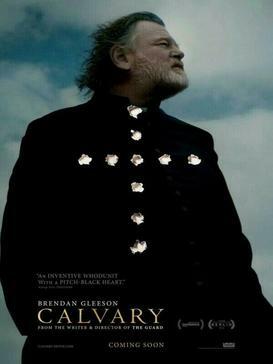 ‘Calvary‘, the latest pairing between director John Michael McDonagh and star Brendan Gleeson, is a thoughtful and spiritual tale that starts off with a death threat that leads to Father James Lavelle (Gleeson) considering his faith, his morality and ultimately the humanity of those around him. Sombre, darkly funny and deeply thought provoking, ‘Calvary’ is an outstanding and powerful piece of work. 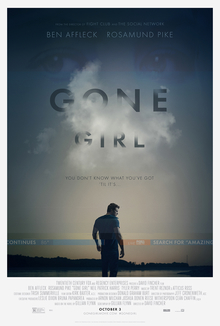 David Fincher does justice to the best selling novel with a pulsating adaptation of the twisty tale of the girl who goes missing, and the husband accused of her murder. Ben Affleck is good, Rosamund Pike is even better, and David Fincher has crafted one of the year’s most thrillingly entertaining movies. The year’s best performance comes in this morally bankrupt skewering of the 24 hour news industry. 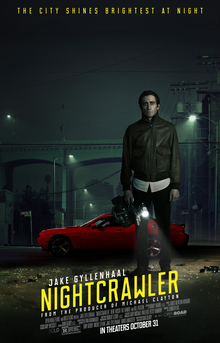 Jake Gyllenhaal is a revelation as Lou Bloom, a petty thief who discovers a more sinister way to start making a living on the streets of LA. The film is both a biting satire and a deeply engrossing thriller, and I loved every minute of it. 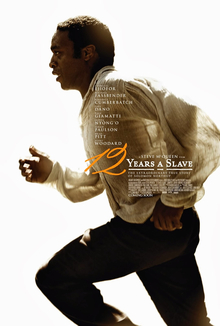 Visceral, powerful and extremely tough to watch, ’12 Years a Slave’ is the best film of 2014. When I saw ’12 Years a Slave’ back at the beginning of the year I knew it was unlikely another film would better it throughout 2015 and that’s proven to be the case. It’s one of the toughest films I’ve ever watched in my life, and like McQueen’s previous films ‘Hunger’ and ‘Shame’, not one I can imagine watching again anytime soon, but it is a stunning watch that does justice to an incredibly difficult subject. That’s all for this year! We’ll be back in 2015 with more reviews, and the concluding film in our David Lynch retrospective, ‘Inland Empire‘. Thanks for reading!